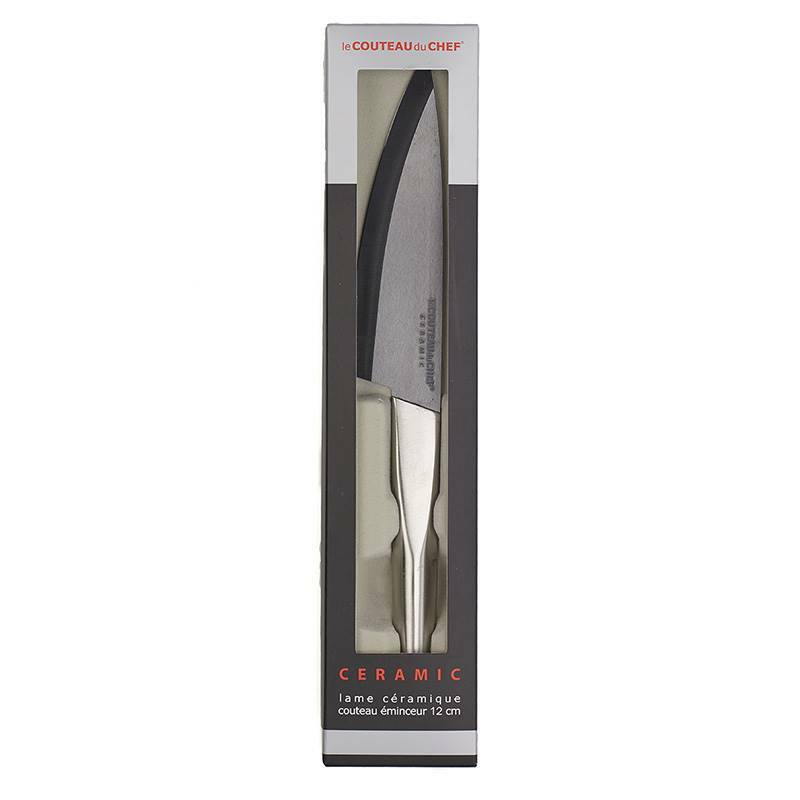 The black ceramic slicing knife from the Transition range appears as the most versatile kitchen utensil. 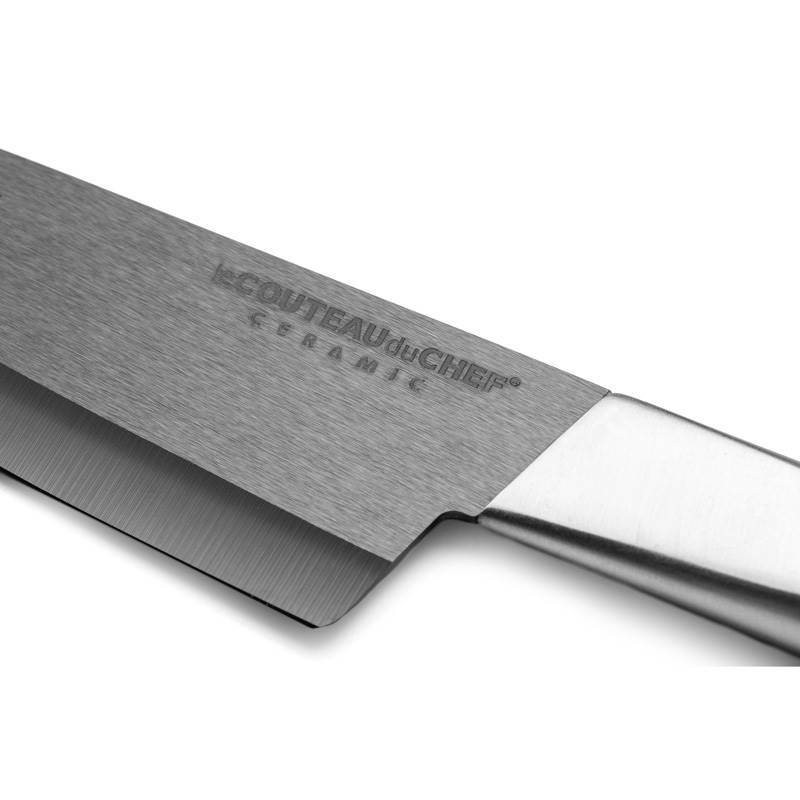 It can cut, mince, chisel and slice all types of products such as fruit, vegetables, meat, fish or herbs. 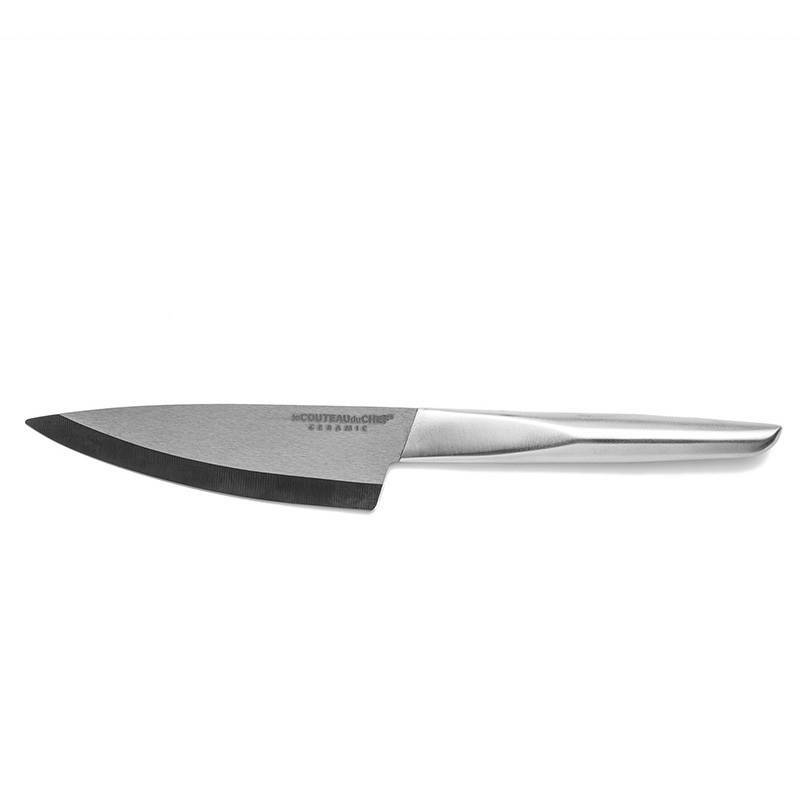 Its modern design stainless steel handle facilitates the grip and use. 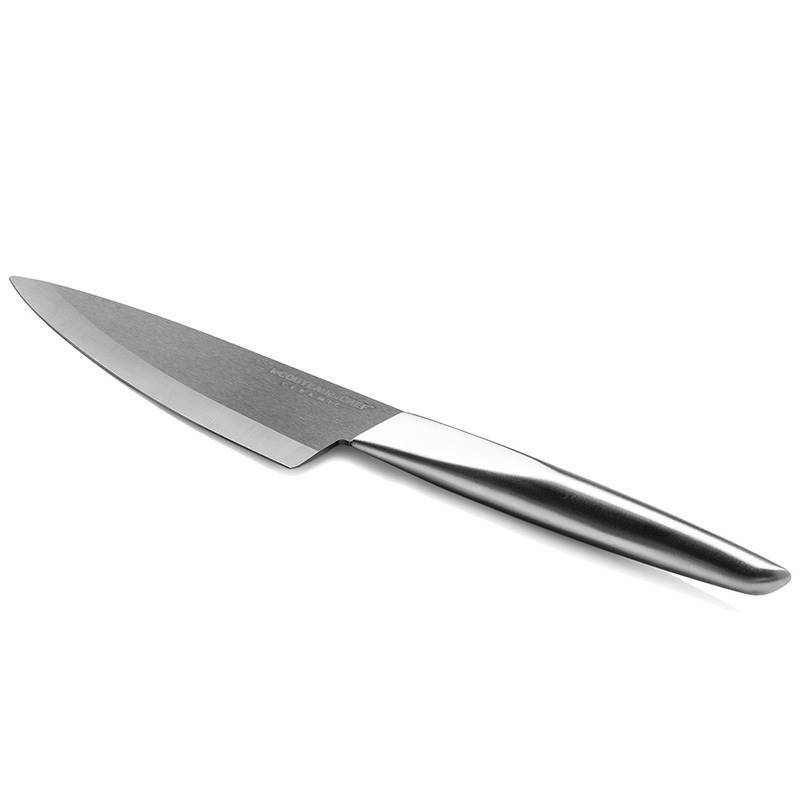 It is an indispensable black ceramic knife for all self-respecting cooks. 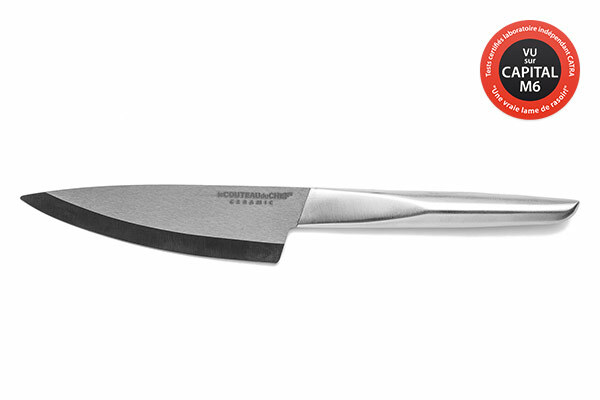 In addition to its modern design, this slicing knife stands apart by the high quality of its black ceramic blade. Coming from the latest manufacturing technology, this blade shows hardness and unrivalled sharpness properties. The percentage of zirconium oxide used for the manufacturing is really high.